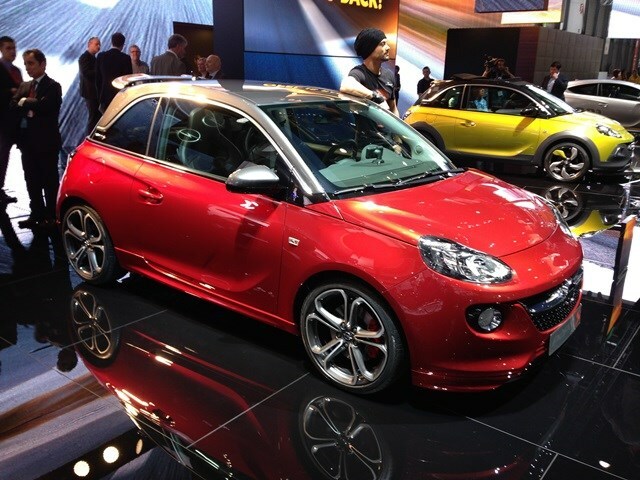 Vauxhall is ramping up its product line-up with two new versions of the Adam unveiled at the Show. The most significant is the Adam Rocks, which the company is so keen to shout about they insist on writing about it in upper case (ADAM ROCKS). Perhaps they decided the name at a very loud pop concert. The Adam Rocks (I refuse to shout) is both wider and taller than the existing Adam, and thanks to body cladding and larger 17-inch alloy wheels looks more rugged. It’s two-wheel drive only (at the front) so don’t let those looks fool you into off-roading. It also features a fabric roof that peels back into the car’s rear pillars (so boot space remains the same, roof up or down) and can go from closed to open in just five seconds. Expect a similar level of customisation to the Adam. The British company has even created two trims unique to the Rocks, recognisable by two different shades of brown used within the cabin. Trim names haven’t been confirmed but expect them to be radical, dude. For more info go here. 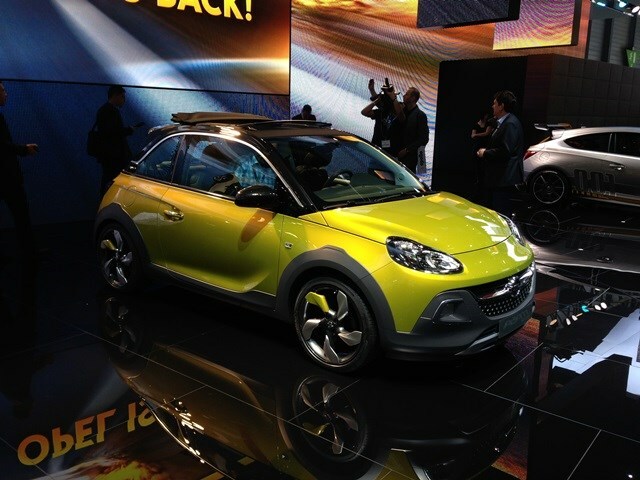 Vauxhall also wheeled out an all-new engine, a compact three-cylinder, 1.0-litre petrol engine that will be available in the Adam and Adam Rocks. This compact motor promises more power, less rubbish out of the exhaust pipe and will wring more miles out of every gallon of fuel. The engine is offered in two power outputs 89 and 114bhp, comes with fuel saving tech such as a stop/start function and its lowest emissions is likely to be 99g/km of CO2. That’s free road tax to you and me. In complete contrast to this sensible low-cost motoring news, Vauxhall let its bats out of the belfry big time with the utterly bonkers Astra VXR Extreme and the Adam S hot hatch. The Astra certainly isn't shy. Power is a mind-boggling 296bhp all being poured through the front wheels – if ever traction control was needed it's now. 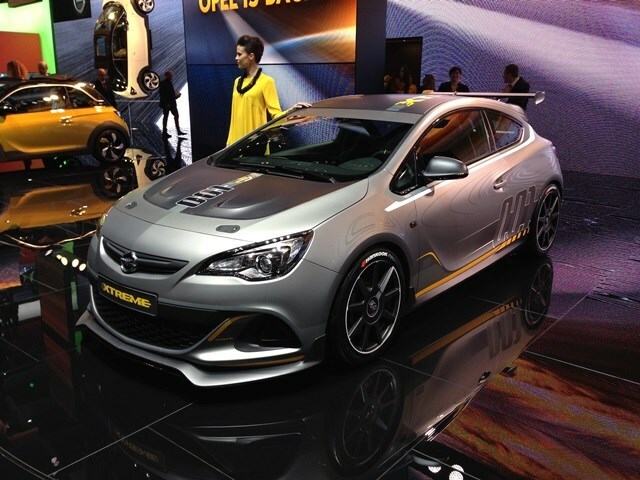 Not only is power up (the Extreme is the most powerful front wheel drive car Vauxhall has built) but weight is down – it’s a 100kgs lighter than the standard Astra VXR. It also looks like it escaped from a race track thanks to the rear spoiler, full race seats and roll cage fitted inside. It’s street-legal and if Vauxhall gets enough thumbs up then a limited number will be built and sold. Just don’t challenge one to a traffic light race if they do. While not boasting anywhere near the same power, the Adam S gets a 145bhp 1.4-litre turbocharged petrol engine which means a top speed of 137mph. It's not clear when this car will make it into production but we suspect it's going to be very similar to the car you see here. You also get red brakes, 18-inch wheels, red paint, partial leather sports seats at the front, USB and Bluetooth connectivity and a range of apps to ensure you stay connected.